Are you looking to enhance your outdoor living space? Hydro Dynamics has all the tools and experience to bring your hardscape design dreams to life. Stroll down a winding pathway. Gather around a built in fire pit. 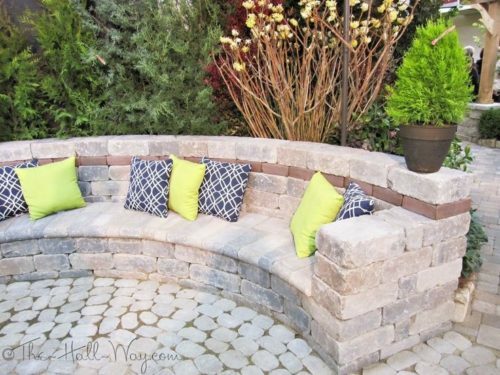 Admire your lovely garden from the comfort of a built in seating area. Spend countless summer nights cooking in a new outdoor kitchen. Create the ultimate outdoor living area. Let our experts work with you to design an outdoor space that suits your style and needs, and create the beautiful outdoor living area that you’ve always imagined. Whether you’re seeking to build a simple retaining wall or create a stunning outdoor kitchen, Hydro Dynamics is the industry leader in all aspects of hardscape design. Let our experts work with you to bring to life to your underused outdoor spaces. We have the most experienced staff in all areas of hardscape design, including brick and concrete patios, stone retaining walls, driveways, walkways, and much more. Hydro Dynamics will help you design a hardscaping solution that adds functionality and aesthetic value to any outdoor landscape. With a wide variety of products available, Hydro Dynamics can help you develop a solution that suits your style and needs. Hydro Dynamics’ ultimate goal is to make your visions for your outdoor living areas come to life. Our experts are ready and eager to take on any hardscape design challenge. We are excited to work with you to bring beauty and function to your outdoor space. Contact us to set up an appointment and start designing your dream outdoor living area today!